Skydel, a GNSS test solutions company, has partnered with Germany-based Noffz to deliver SDX GNSS simulation to clients in Europe. Noffz creates test systems and solutions in the area of the Internet of Things (IoT) — especially in automotive RF-test applications around eCall, network access devices, telematics control units, infotainment/multimedia units and automotive radar. With nearly 30 years of experience, Noffz delivers worldwide turnkey solutions and PC-based measurement, as well as automation systems. 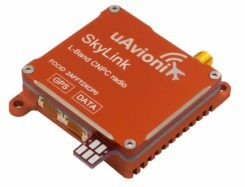 “With their broad expertise in test solutions, Noffz is well positioned to bring Skydel’s SDX GNSS simulation solutions to clients located in Europe and beyond,” Skydel said in a blog. “Technology is constantly evolving,” reads the blog. 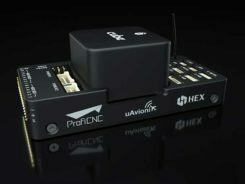 “With the advent of new satellite constellations, such as Galileo, expanding needs for position and navigation in the transportation industry, and the growing threats of RF interferences, GNSS simulation is more than ever a key component in the arsenal needed to design and validate new products. Galileot will reach Full Operational Capability (FOC) in 2019. Simulation of the complete Galileo constellation is possible with Skydel’s SDX GNSS simulator.